Bontle Modiselle And Priddy Ugly Drop A Song For Valentines Day. Forget the Carters, we have our every own Rick Jade. 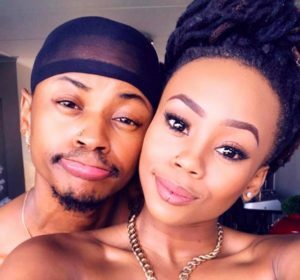 Bontle Modiselle and her boyfriend Priddy Ugly are the ones to watch out for. They have been together for year, and are successful in their respective careers. Going under the name Rick Jade, Bontle and Priddy have dropped a fresh song titled, I Want Something New. The couple also have a joint Instagram account in which they elaborate more on the project. The post Bontle Modiselle And Priddy Ugly Drop A Song For Valentines Day appeared first on Youth Village.